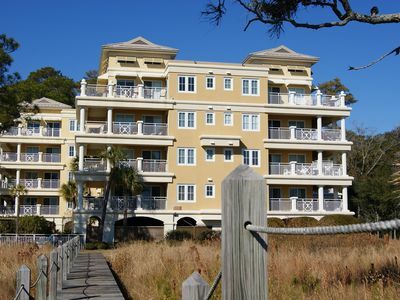 Experience an amazing getaway and first class accommodations in the gated community of Shipyard Plantation on Hilton Head Island. 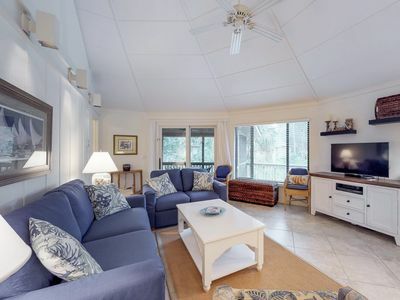 This incredible 4-bedroom, 3-bathroom vacation rental house easily sleeps 10 making it perfect for groups of friends or large families traveling together. 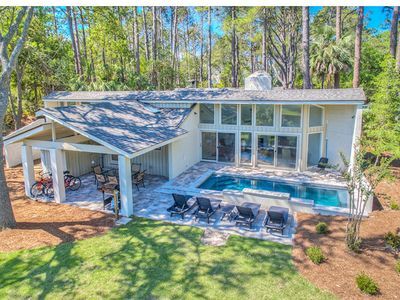 With a private pool/spa, expansive private deck, spacious backyard, Atlantic Ocean beaches, and world-class golf courses, your whole group is sure to find the ultimate vacation here! 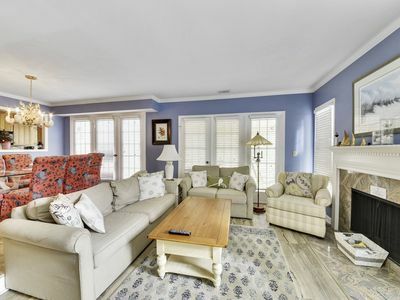 Located on a quiet neighborhood street, surrounded by soaring trees and lush greenery, this beautiful home is part of South Carolina's Lowcountry, which is known for its marsh views, cultural heritage, and historic architecture. 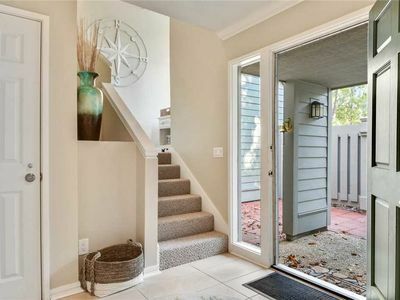 Boasting 2,600 square feet of beautifully appointed living space and an open-concept layout. 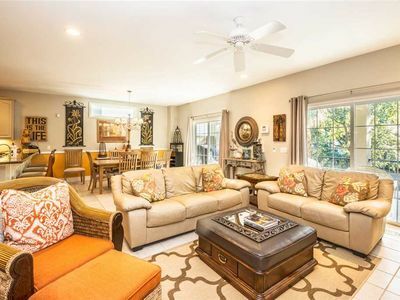 The high-end stylish decor, elegant French doors, and cathedral ceilings make it a place you'll never forget. 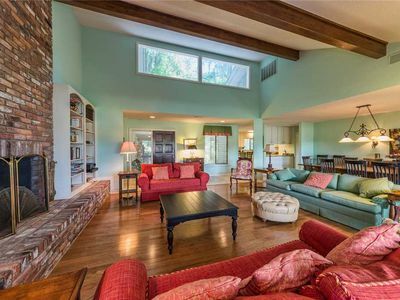 Among the embellishments found inside, this house also offers a plethora of amenities outdoors. 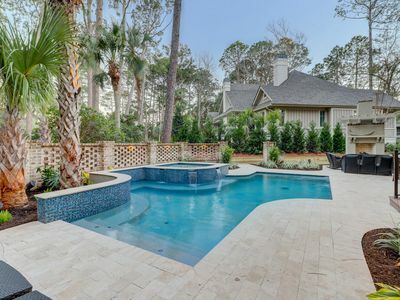 A spectacular backyard with stunning views of a golf course houses a spacious deck, comfortable patio furniture, and a luxurious pool and spa. While on vacation, there's never any rush! Whether you had a late night or you're ready for an early morning, brew a fresh pot of coffee and enjoy a cup at the kitchen bar. 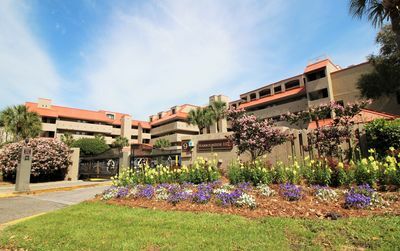 With 24 world-class golf courses, one of which is located in the backyard, and 350 tennis courts on the island, you and your travel companions will quickly get into the swing of things. 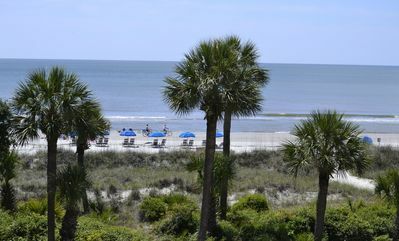 Known for its Atlantic Ocean beaches, you'll enjoy relaxing on Hilton Head's soft white sand any day of the week. 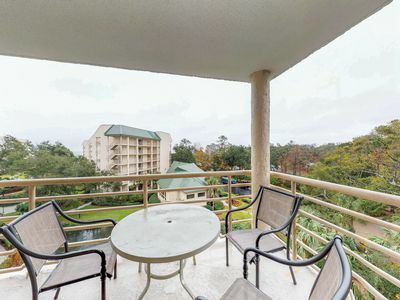 When you're not out and about, enjoy balmy afternoons taking in the dazzling scenery on the private deck, sipping a refreshing beverage in one of the comfortable patio chairs. 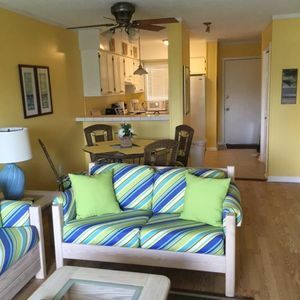 After a day spent relishing the outdoors or exploring the quaint town, you can look forward to preparing your favorite recipes for a delicious home-cooked dinner. This location is perfect to explore all that this area has to offer. Since the island is only 12 miles long by 5 miles wide, you can hop on a bike and go anywhere you'd like! 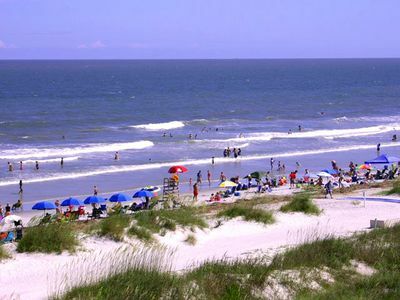 A beach bum's dream, you're only a 5-minute bike ride from Hilton Head's finest beaches, where you can enjoy swimming, paddle boarding, kayaking, or fishing. If you're interested in golf, choose between one of the 24 courses offered on the island and perfect your putting skills. 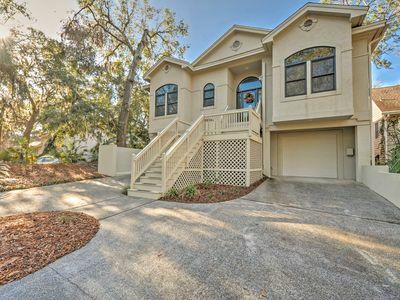 As part of the Lowcountry region, you'll never be short of breathtaking nature views. Visit the Audubon-Newhall Preserve and head down several walking trails that lead through a wide variety of trees and shrubs, as well as a wetlands bog that is common for barrier islands. 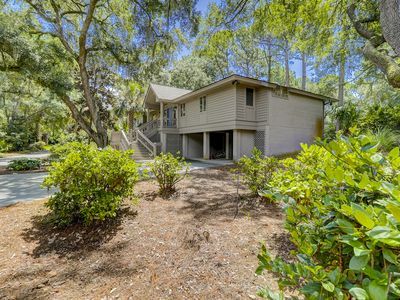 - Ideal Hilton Head Island location - Close to beaches, golf courses, tennis courts, fishing, paddle boarding, boating, restaurants, shops, markets, and more! 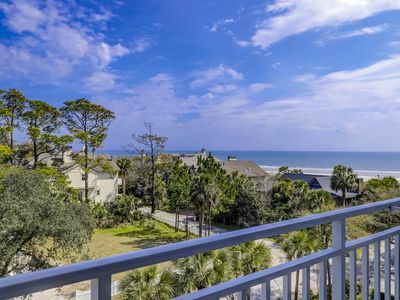 Gorgeous Ocean Views...just steps to the beach! Now booking Spring/Summer 2019! Walk to Beach! 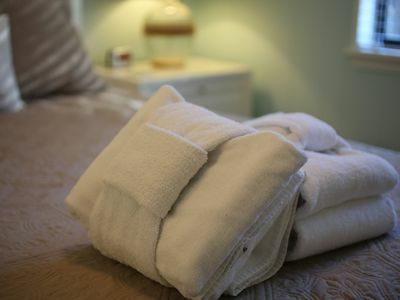 - Two Bedroom/Two Bath-Balcony-Book Now for Summer! 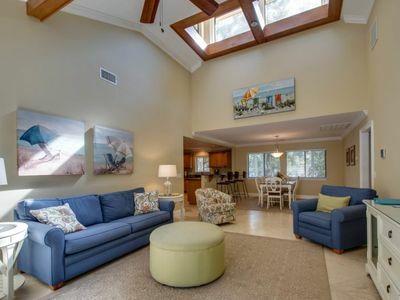 2407 SeaCrest- Oceanviews, Indoor/Outdoor Pool & Spa, Fitness and More. 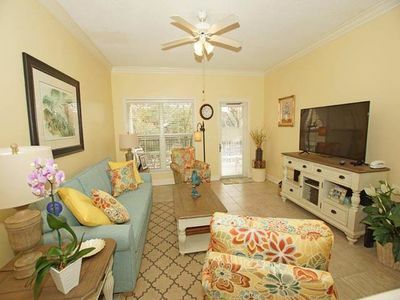 Updated 3 bedroom / 2 bath private home in North Forest Beach, 5 mins to the Ocean! 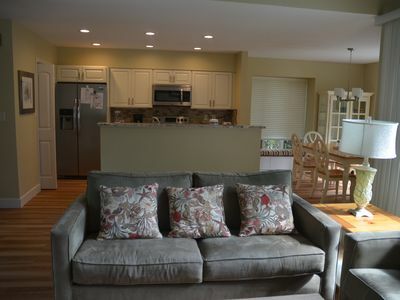 Recently updated resort villa with shared pool, quick walk to the beach! 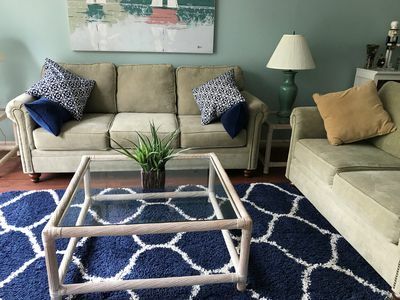 May Special! Lovely Reno! Walk to Beach! Chairs and Wagon! EVERYTHING IS NEW!